Windows blinds are some of the most important features of any modern home interior when you wish to make the designs look and feel great. Different types and materials of windows blinds can add design, pattern, texture or unique look and feel to interior rooms and Impress Blinds are your most reliable windows blinds provider in the UK covering Birmingham and its surroundings like Sutton Coldfield as well. 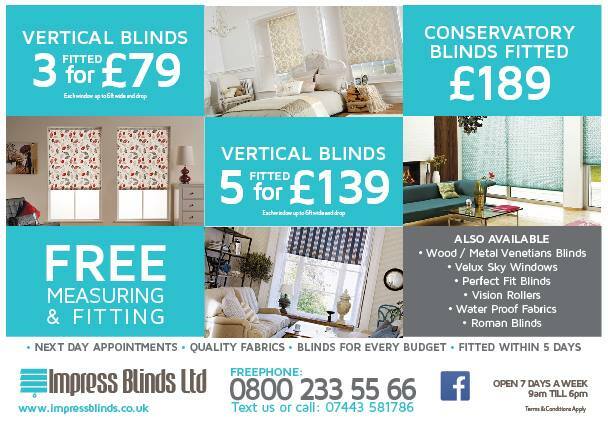 We have the affordable and versatile Roller Blinds, unique and practical Vertical Blinds, beautiful and elegant Vision Blinds and also the functional conservatory blinds finished in the widest designs range with high quality materials making your interiors look bright and vivid. Our major clients in Derby (UK) are much satisfied with our services.